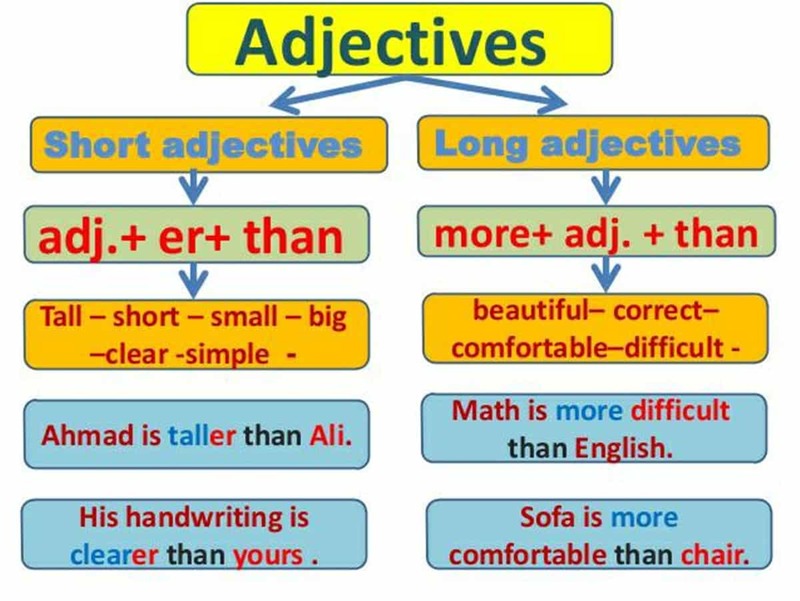 Learn Comparison of Adjectives in English with Pictures and Examples. 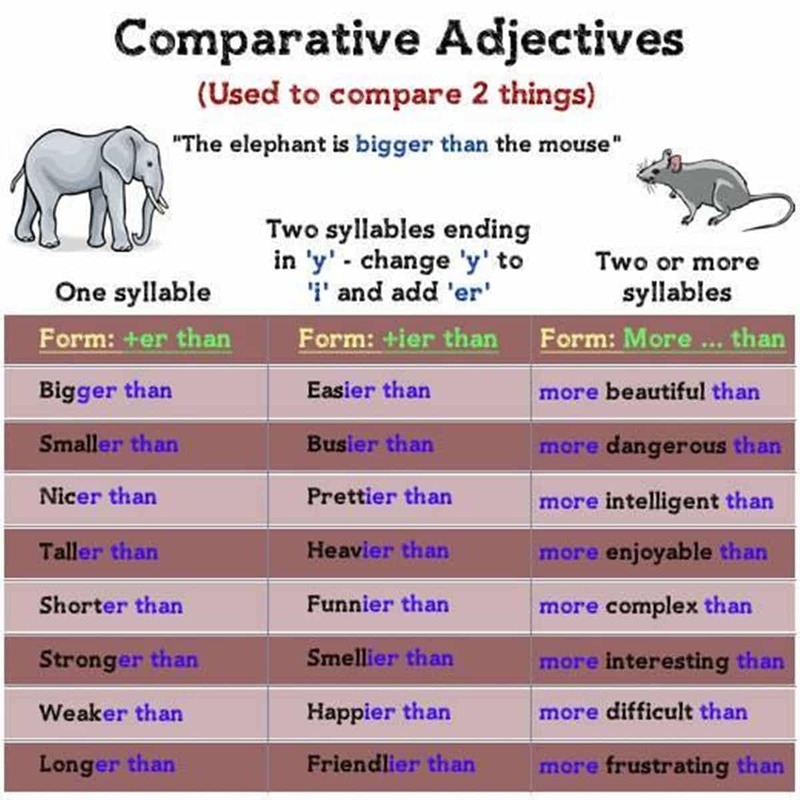 Degrees of comparison refers to adjectives being written in different forms to compare one, two or more nouns which are words describing persons, places and things. 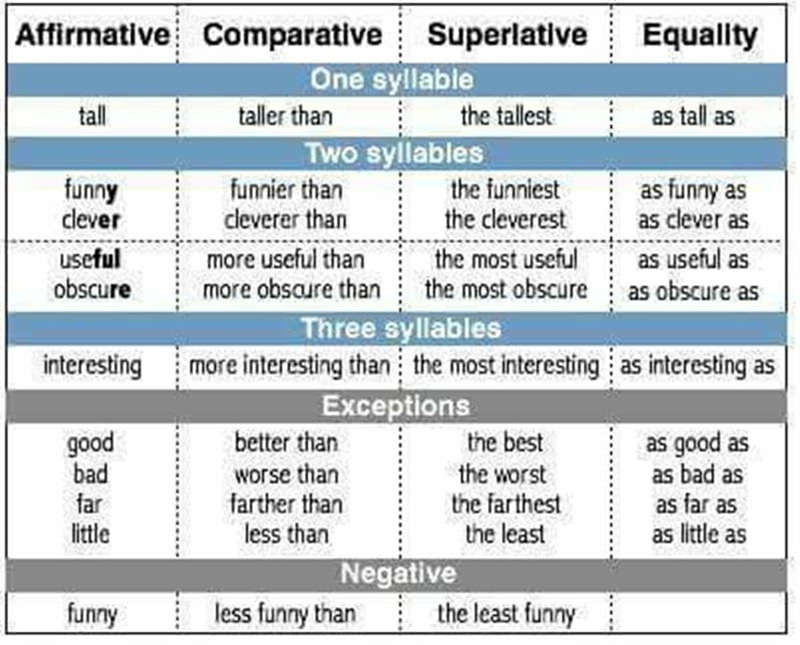 The three different forms of comparison are the positive, the comparative and the superlative. 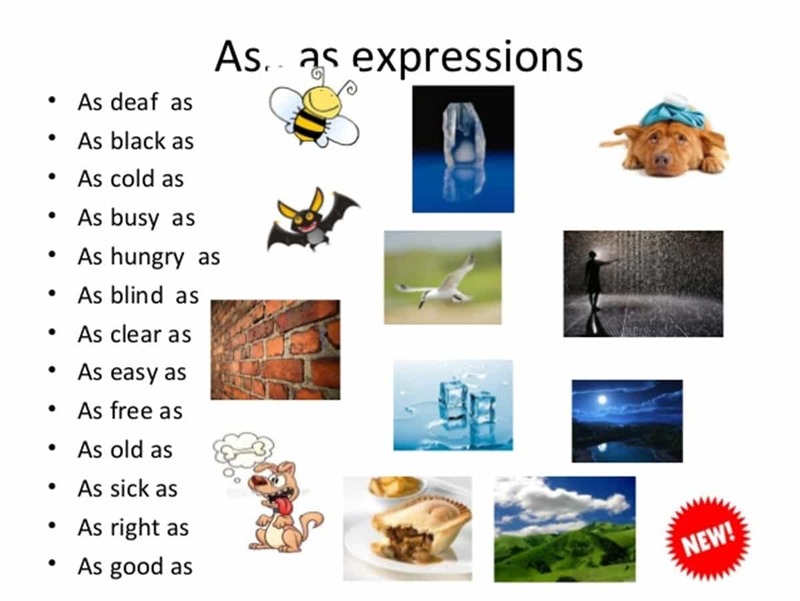 The positive is the form of the adjective that describes one noun. 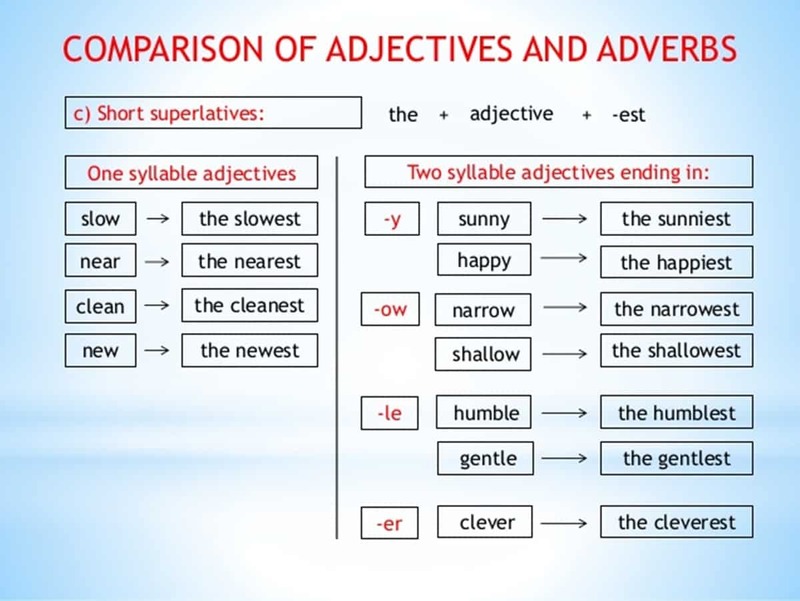 The comparative form of the adjective compares two nouns. 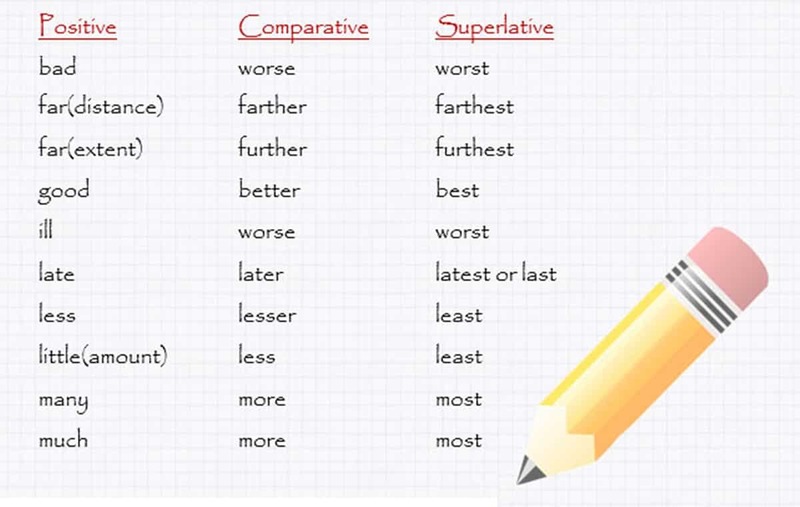 The superlative form of the adjective compares more than two nouns. 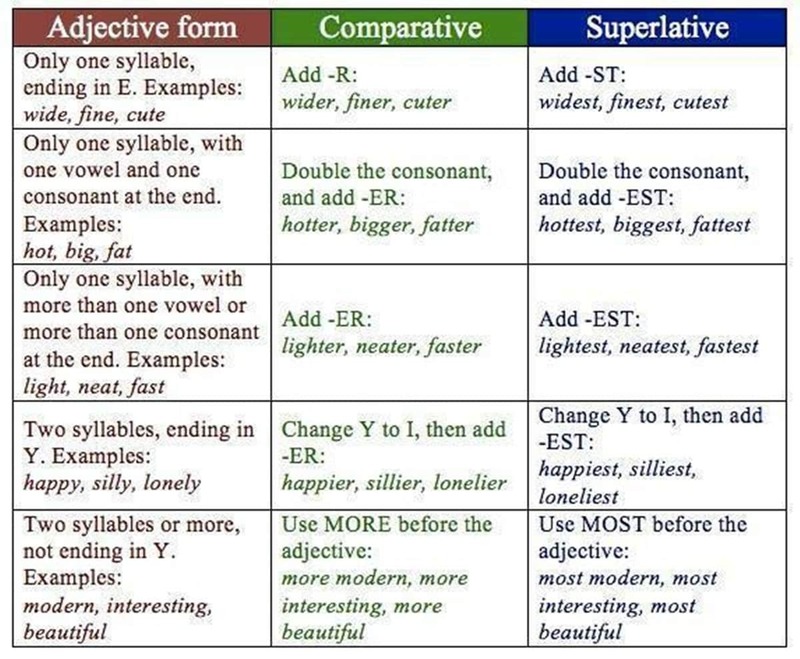 The comparative form is used to compare two people, ideas, or things. 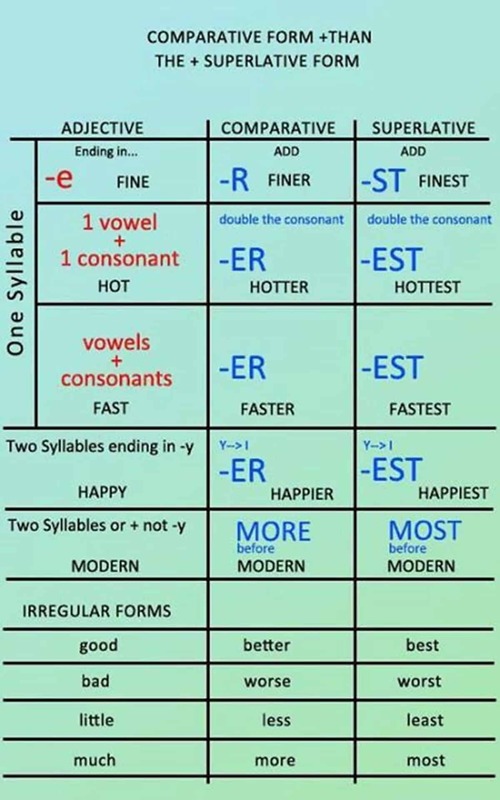 This puzzle is easier than the last one. The book was more interesting than the film. 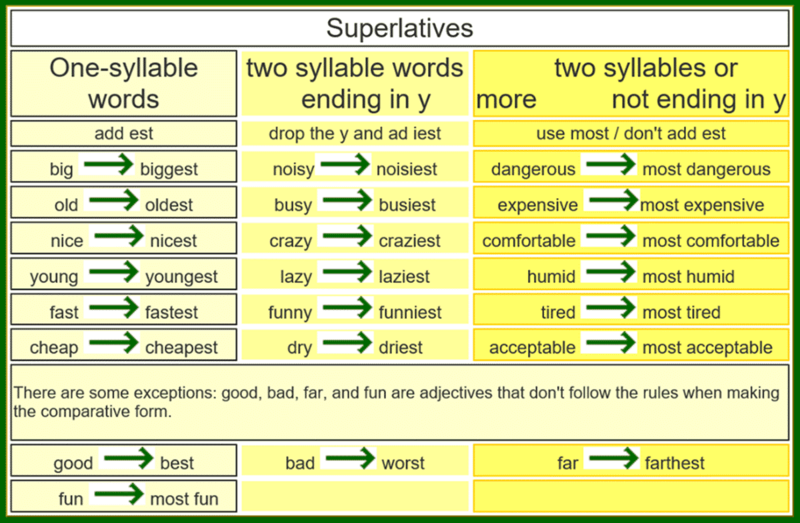 The superlative is used to say what thing or person has the most of a particular quality within a group or of its kind. He was the tallest boy in the class. This puzzle is the easiest in the whole book. 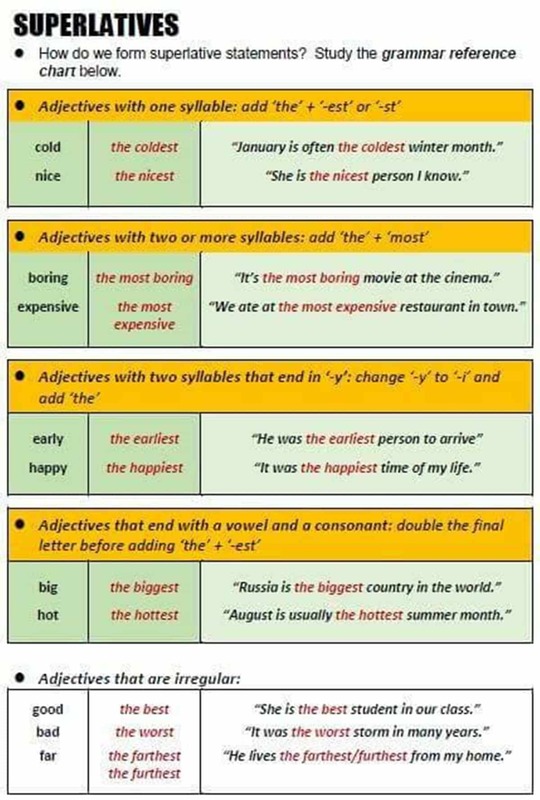 Reading is as enjoyable as writing. 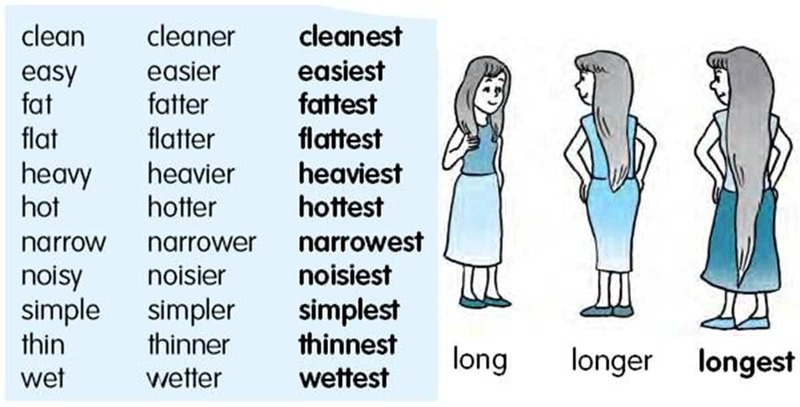 The results were as conclusive as in previous studies. Finding participants for the study was not as easy as I thought. Her level of expertise was not as extensive as her employer had hoped.